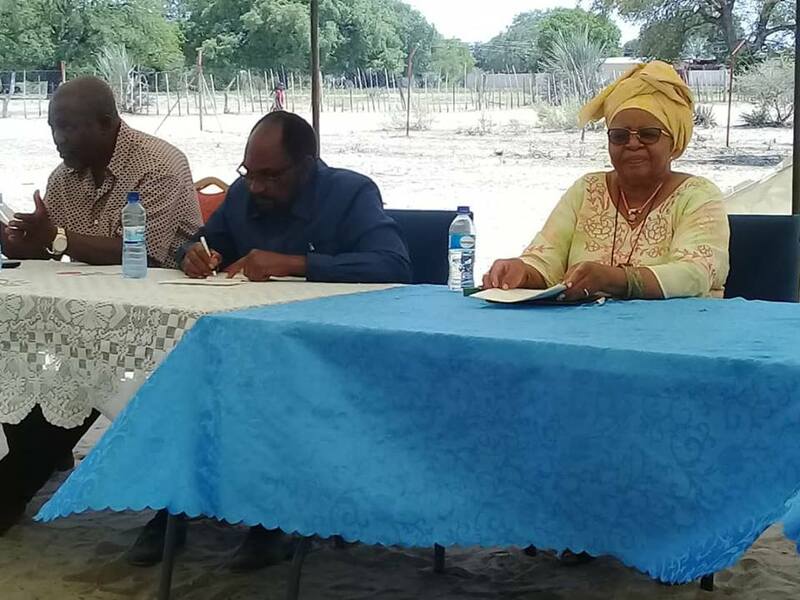 Pictured: Ohangwena constituency councillor Johannes Hakanyome, Regional Governor Usko Nghaamwa and former first lady Penehupifo Pohamba during the official part of the renovation and cleaning event. Photo: contributed. THE collapse of the once-thriving Oshikango business hub has severely affected service delivery at the Tutekula Children’s Centre at Onhuno in the Ohangwena region. 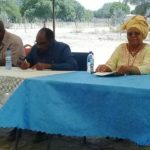 Speaking during a renovation and cleaning event at the Centre on Saturday, former First Lady Penehupifo Pohamba noted that the Oshikango businesses, together with international donors such as the Church Alliance for Orphans (CAFO), were Tutekula’s supporting pillars, and their withdrawal has severely affected the centre’s ability to function effectively. Tutekula is Oshiwambo word literally meaning “nurture us”. The Tutekula Chidren’s Centre caters for the needs of orphans and vulnerable children, concentrating on nurturing activities and other programs such as child growth and safety, as well as counselling and psychological care, day care, feeding scheme, life skills and HIV/AIDS preventive methods, after school services and study motivation. Currently the Centre has under its care 689 children from four constituencies – 0hangwena, Oshikango, Omulonga and Engela. Pohamba said that the Centre – which gives children hope for a better future – is currently going through a very difficult time. She pointed out that the Centre’s water supply was recently cut off due to outstanding municipal bills. “Efforts to overcome these challenges are still in progress and the organisation is still searching for possible opportunities,” she said.